Ultra violet radiation can damage the frames painted windows may have cracks in the paint, or leave patches of discolouration. Our uPVC windows & door frames contain Polyurethane, these windows do not fade & crack when exposed to sunlight. You do not need to polish or paint them to have the protection from UV light. Un-reinforced uPVC window profiles have a lack of rigidity and a high coefficient of expansion. uPVC profiles without reinforcement are subject to distortion. To avoid preventable damage, we always reinforce all our windows and door frames with aluminium or steel, according to customer requirements. The internal metal extrusion makes the frame stiffer, so the frame will not warp or twist under heat or pressure. We found both aluminium and steel perform equally well in reinforcing the frame, but our customers tend to prefer aluminium because it is lighter and does not rust. We only use quality extrusion that has been rigorously tested for UV radiation in harsh environments in desert or mountain conditions. 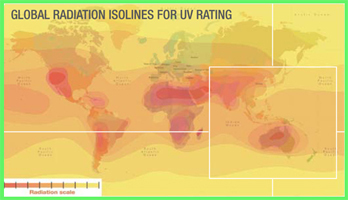 The profile has been specifically formulated for Australian conditions to thwart potential damage from the sun. Many of our competitors who neither understand the composition of the extrusion nor its performance will try and convince you that it will melt as soon as it’s exposed to sunlight. They probably equate the upvc in window frames with the Polyethylene used for shopping bags. To date we are yet to receive a single complaint about melting and if you are still unconvinced we are prepared to offer you a test sample on which you can experiment to your satisfaction. We believe our customers are intelligent consumers capable of distinguishing between an anecdote and a fact. Our consultants act with integrity and high professional standards and will not compromise the quality of service to you by offering an inappropriate product.